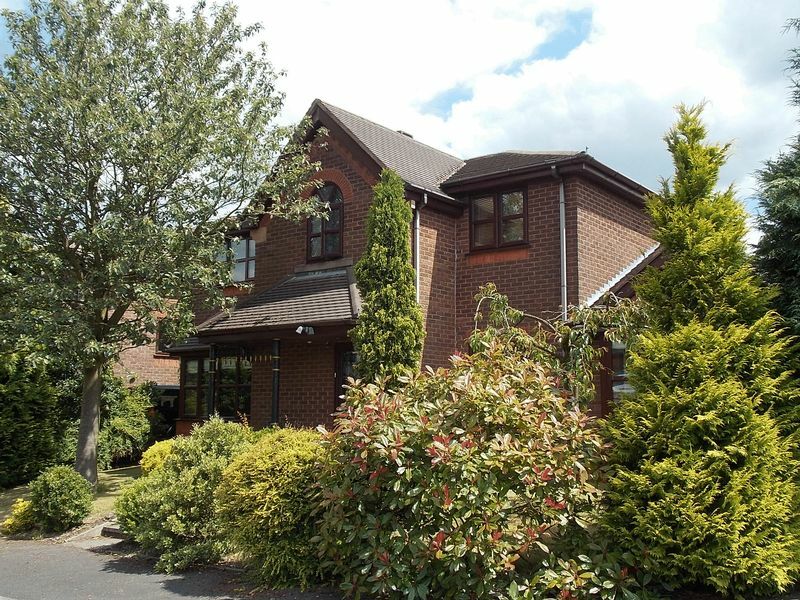 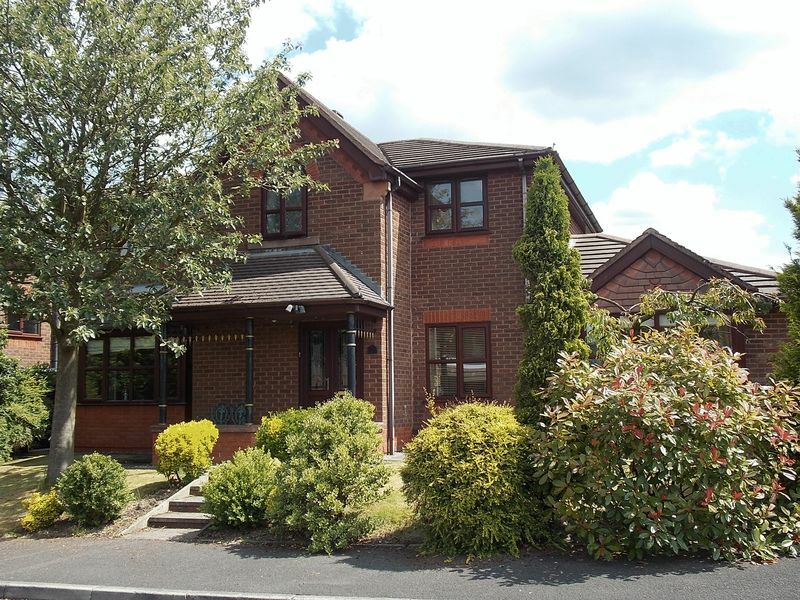 Stunning executive four bed detached family home situated on a sought after development in Horwich for £1100PCM!!! 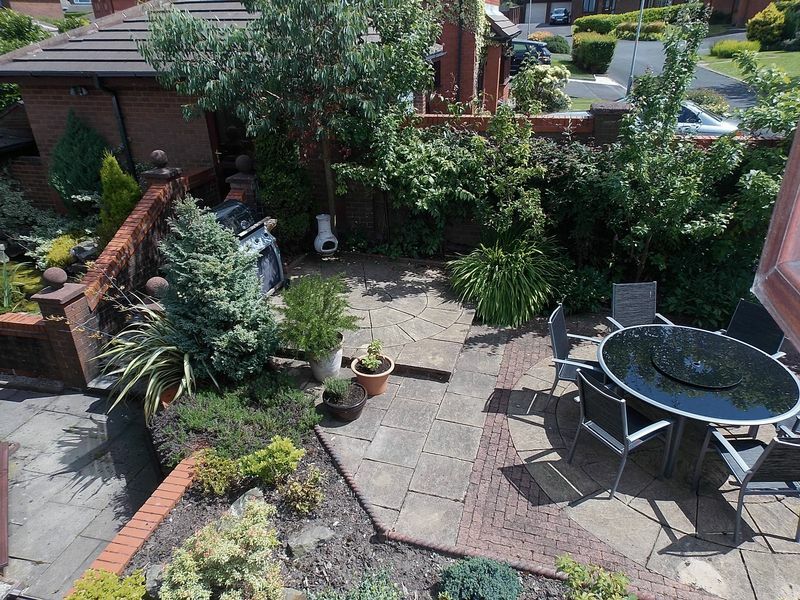 Available from the start of July. 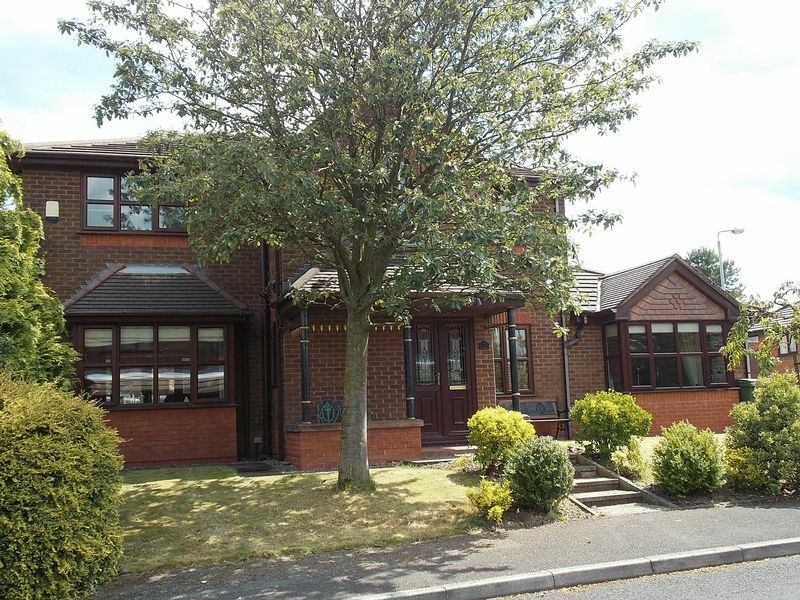 This property has a large extension to the side offering substantial living accommodation which briefly comprises of: Entrance porch, Guest WC, hallway, lounge, dining room, study, modern fitted kitchen opening up to a dining area and conservatory, utility room. 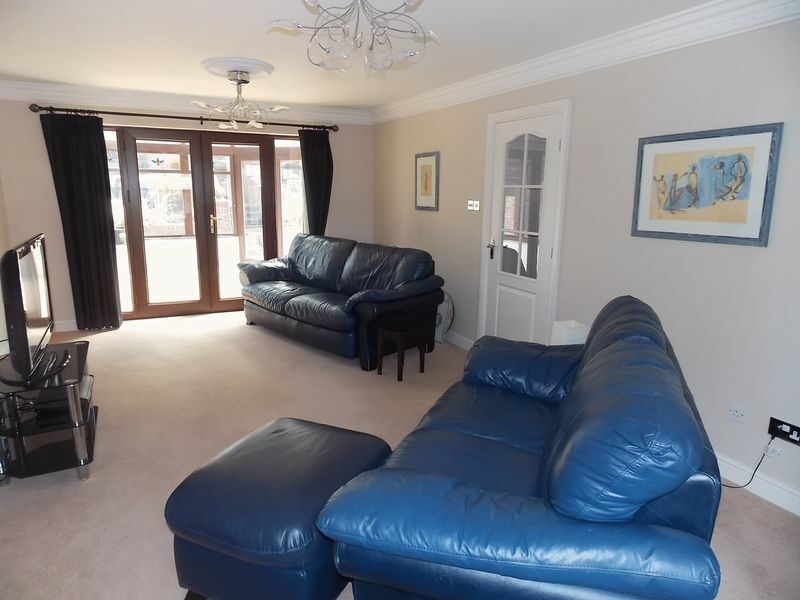 To the first floor are four bedrooms with fitted wardrobes and five piece en suite bathroom to master bedroom. 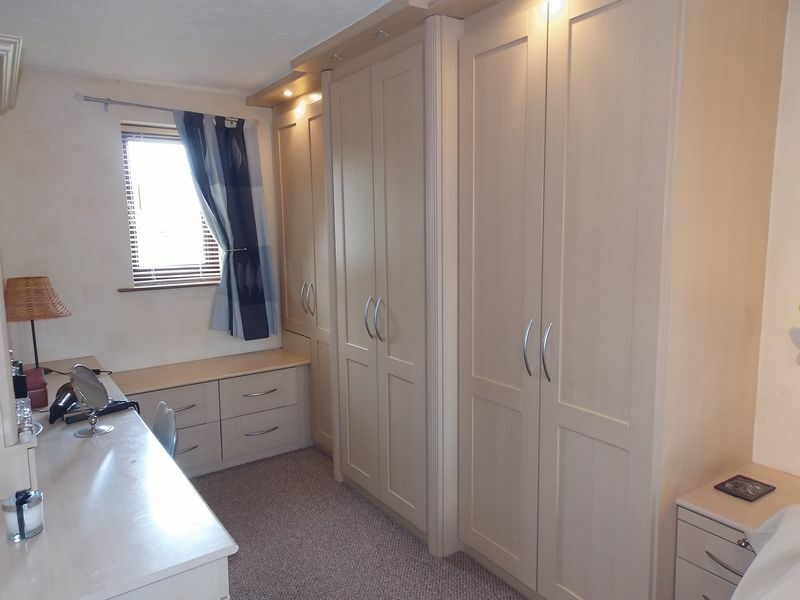 Two further bedrooms have fitted wardrobes. 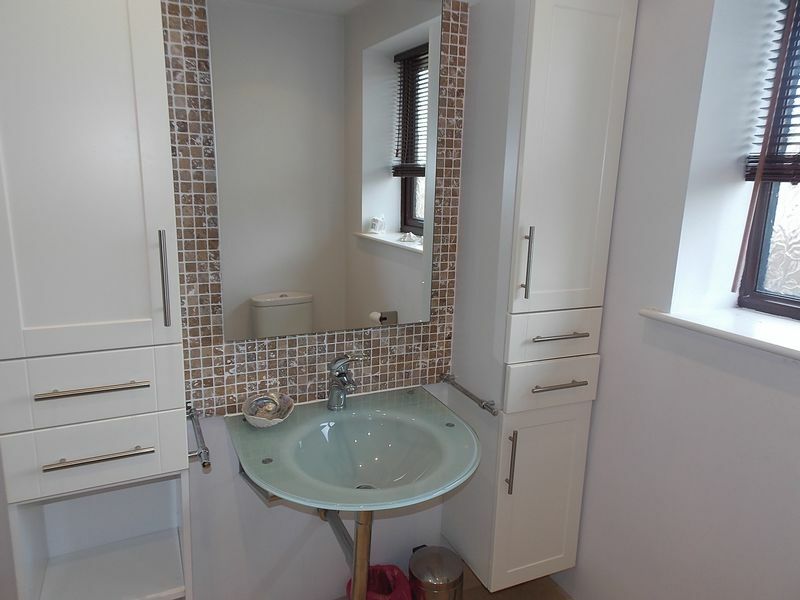 Four piece family bathroom suite. 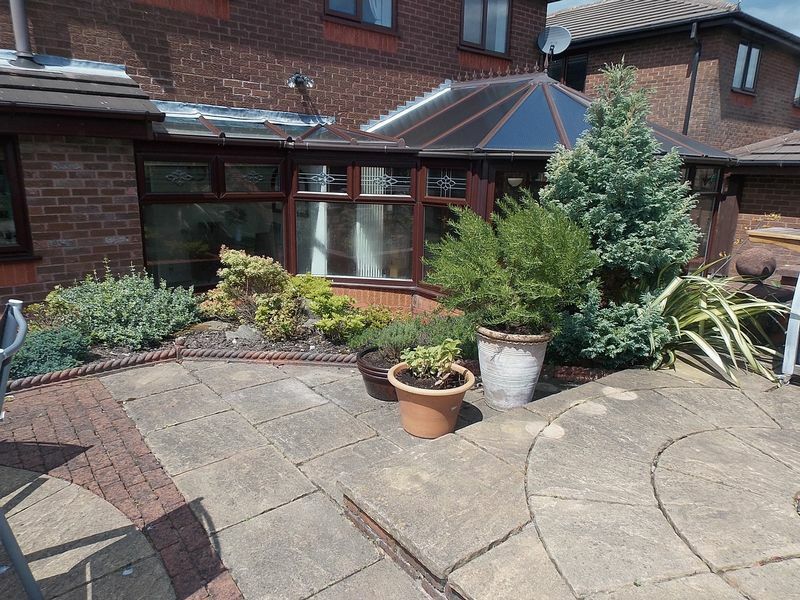 Outside are landscaped gardens the the front and rear with a double driveway to the rear leading to a detached double garage. 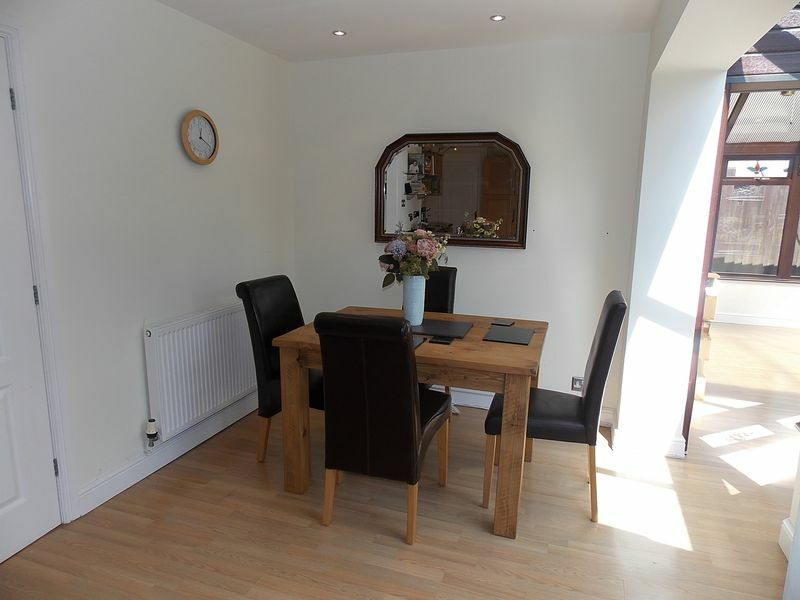 The property is heated by a gas central heating system and is double glazed. 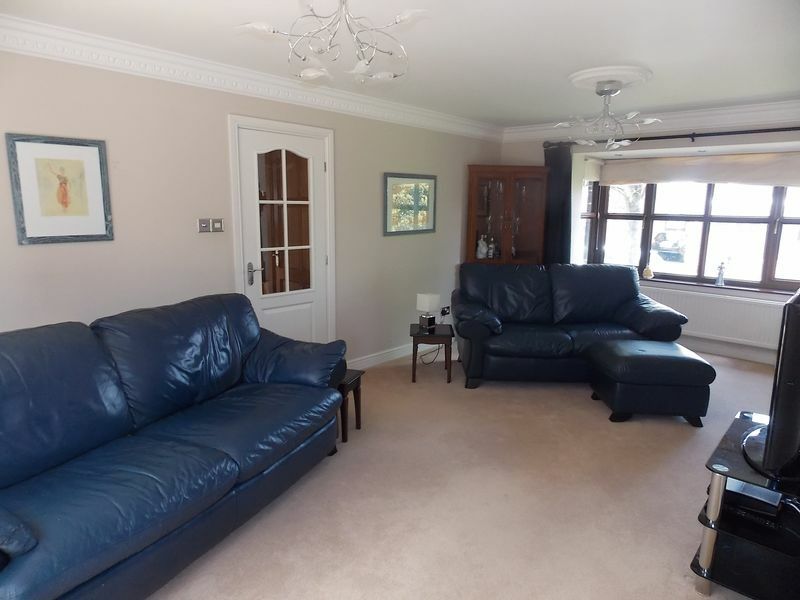 Internal viewing is essential to appreciate the accommodation on offer. 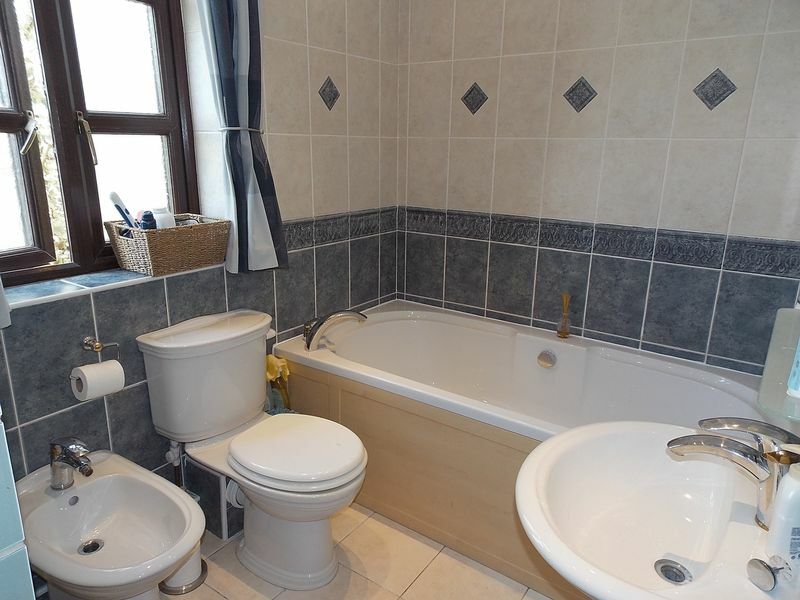 Door to front, tiled flooring, radiator, door to WC and hallway. 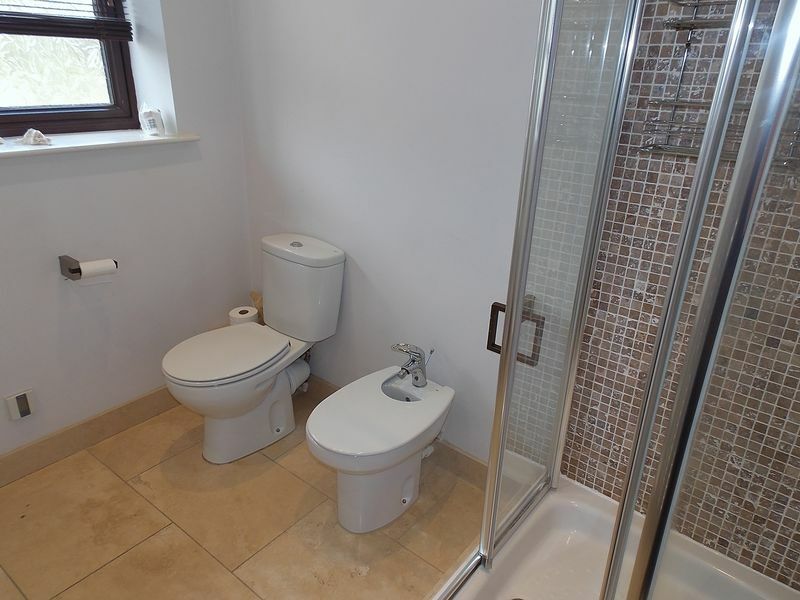 Low flush WC, wash hand basin, tiled to exposed area, tiled flooring, storage cupboard, double glazed window to side. 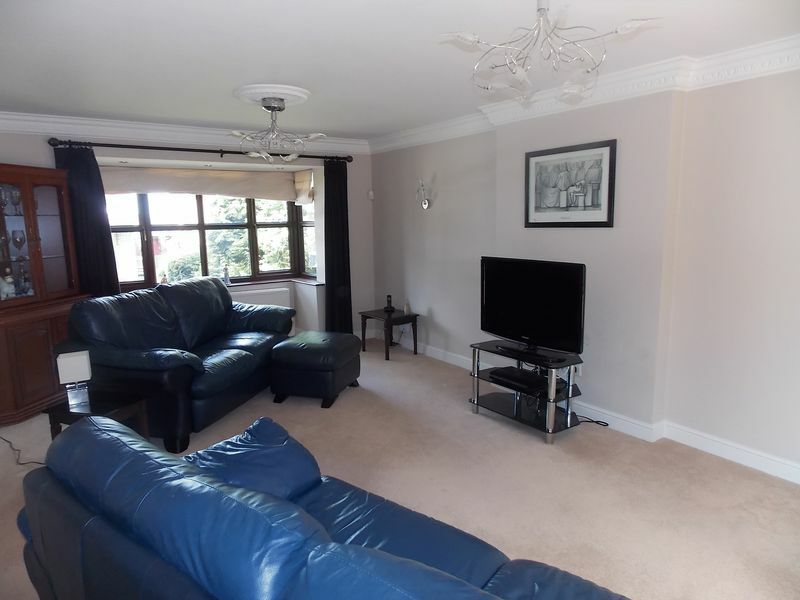 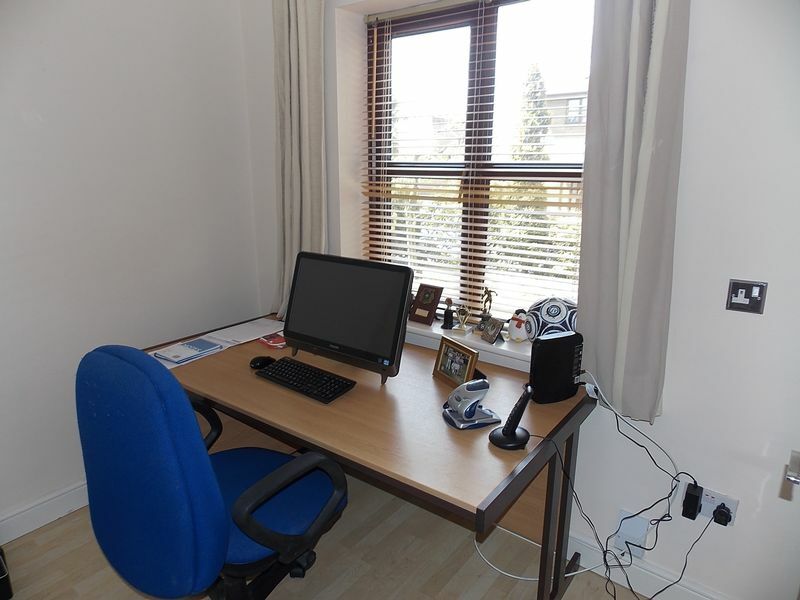 Stairs to first floor, under stairs storage cupboard, storage cupboard, radiator, laminate flooring, ceiling coving, spotlights, doors leading to lounge, kitchen, dining room and study. 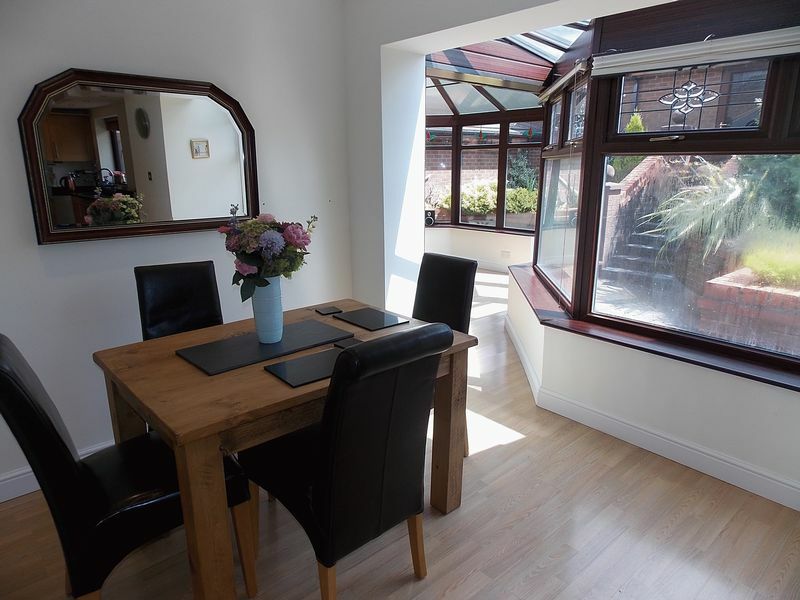 Double glazed bay window to front, double glazed french style doors leading to conservatory, two wall light points, ceiling coving, double and single radiator. 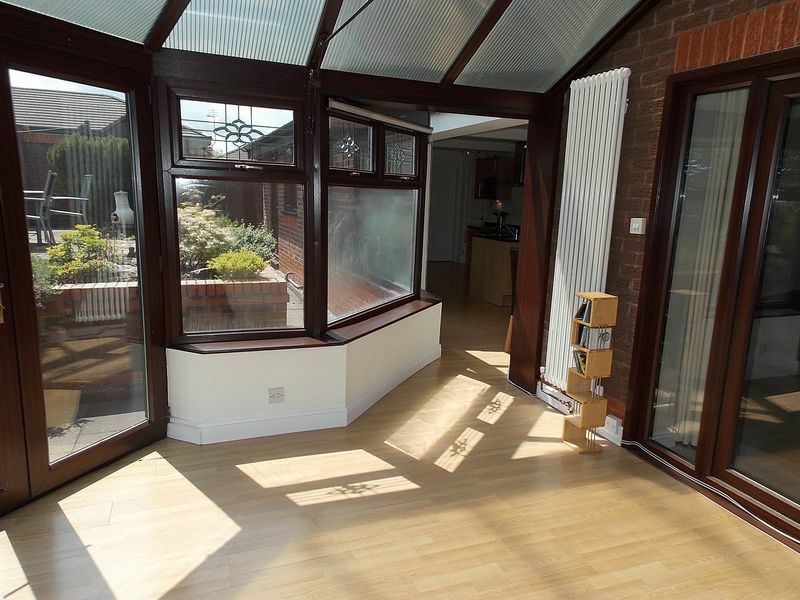 Double glazed bay window to front, laminate flooring, double radiator, door to kitchen. 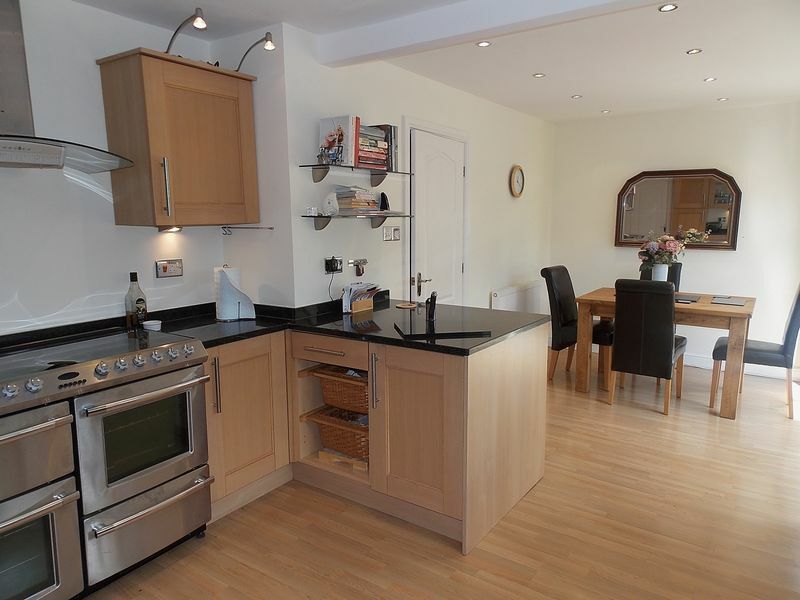 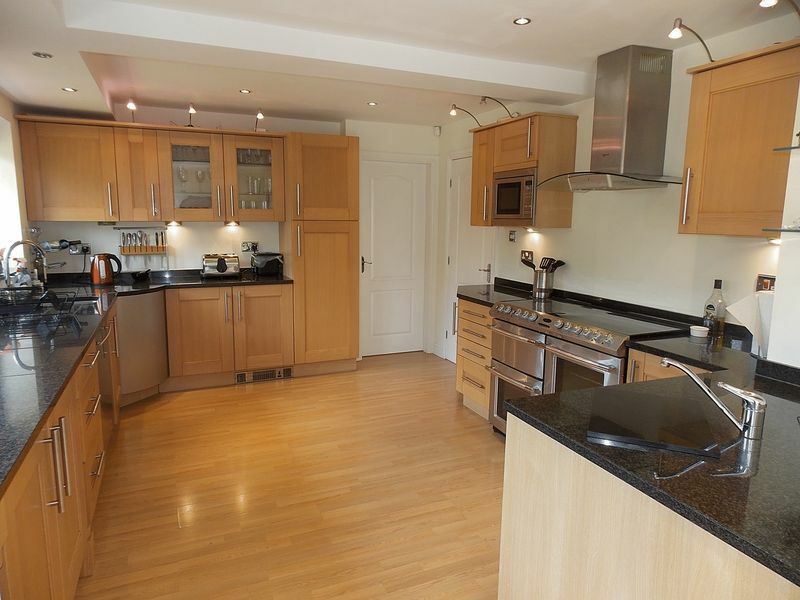 Fitted with a range of matching wall and base units with granite work surfaces, single bowl sink with granite drainer, plumbed for dishwasher, large 7 ring range style gas cooker, spotlights, laminate flooring, two double glazed windows to rear, door to utility, open plan leading to dining area. 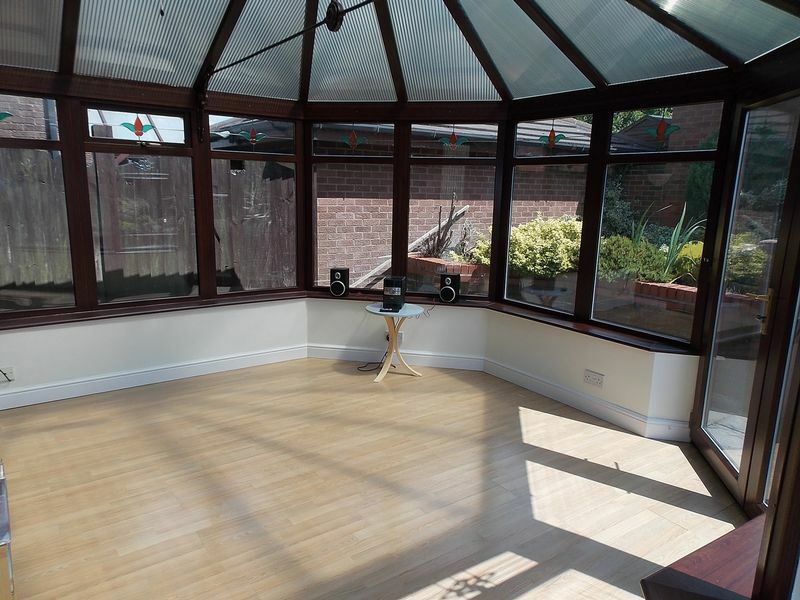 Double glazed window to rear, radiator, laminate flooring, spotlights, open plan leading to conservatory. 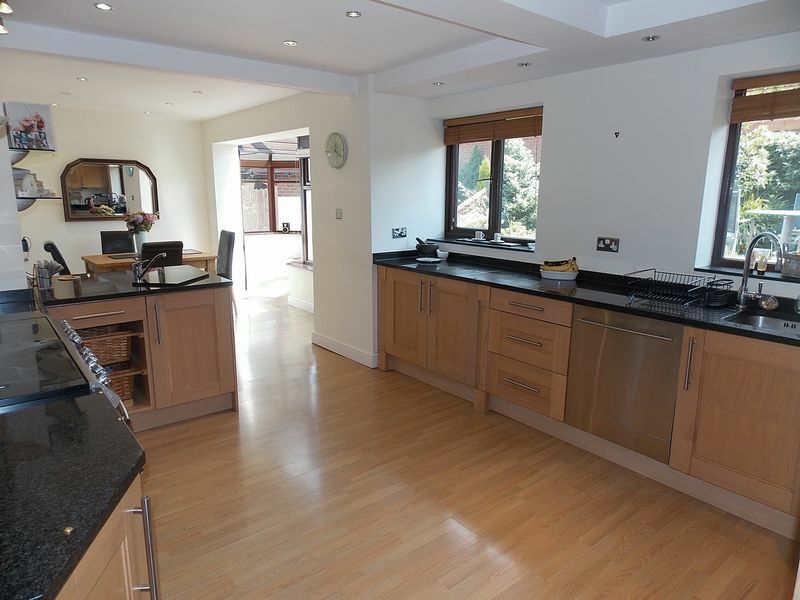 Double glazed window to side and rear, double glazed french style doors leading to rear garden, radiator, laminate flooring. 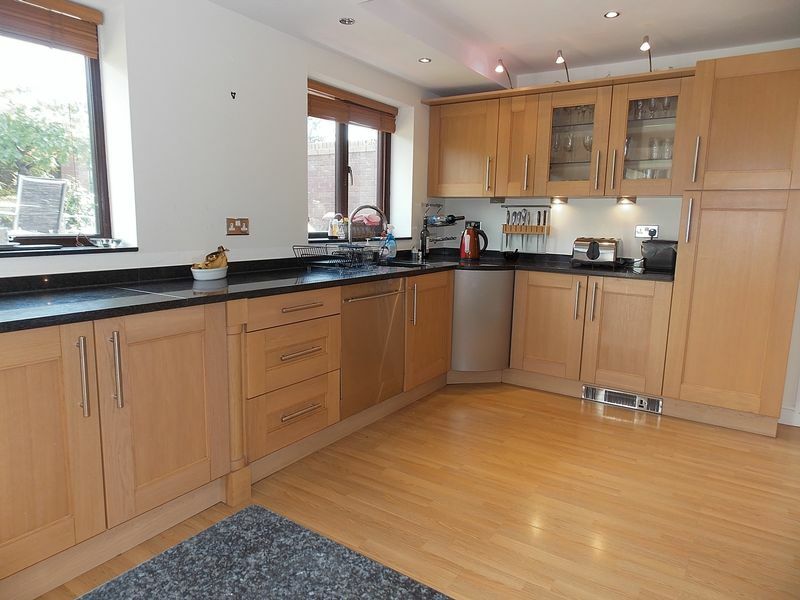 Wall and base units, single drainer stainless steel sink unit, plumbed for washing machine, space for dryer, door to rear, radiator, tiled flooring. 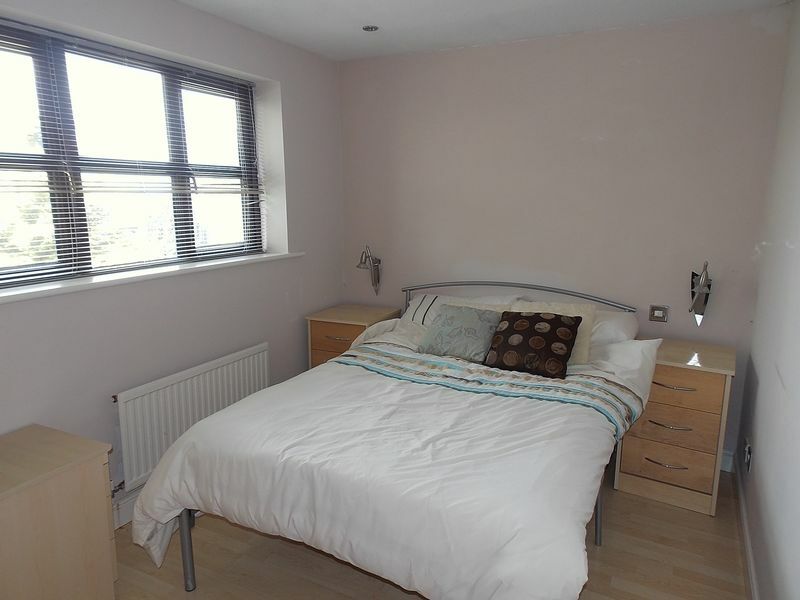 Loft access, spotlight, doors leading to bedrooms and bathroom. 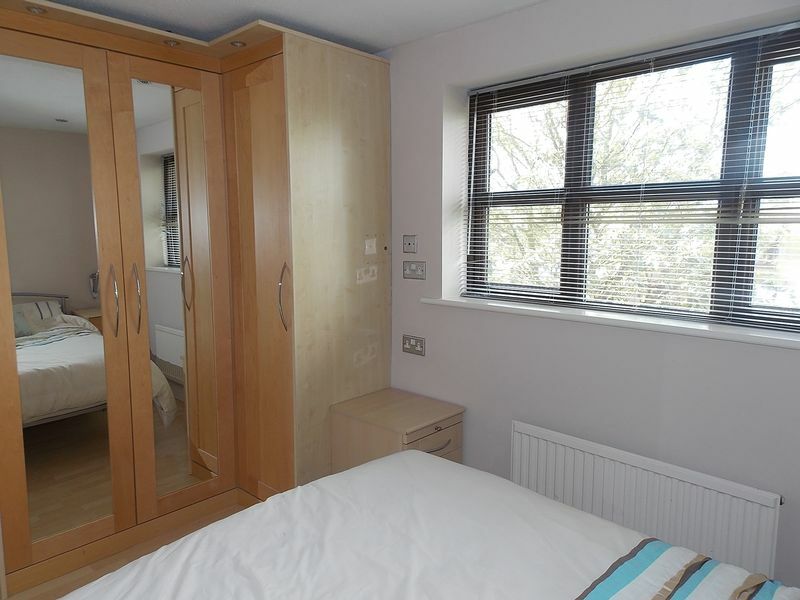 Double glazed window to front and rear, fitted wardrobes and dressing table with drawers, double radiator, door to en suite. 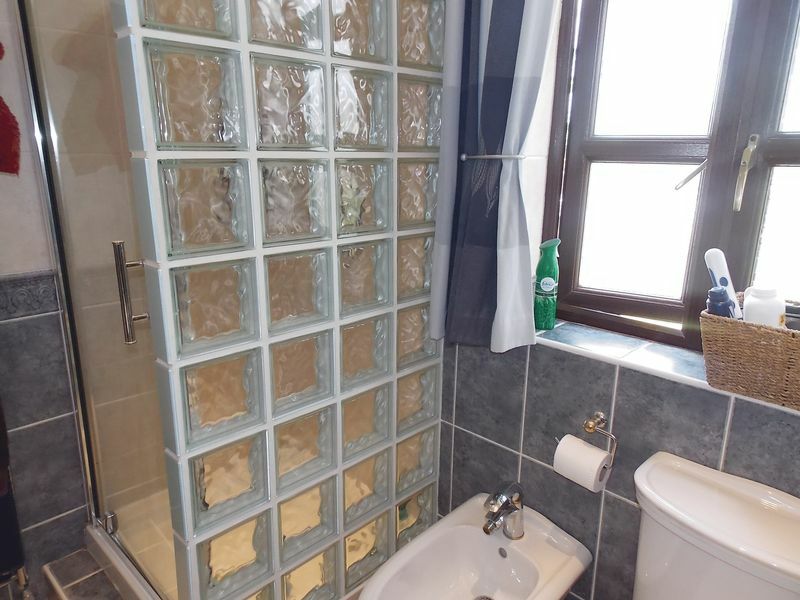 Five piece suite comprising of jacuzzi bath, shower cubicle, low flush WC, bidet, pedestal wash hand basin, tiled to exposed area, tiled flooring, heated towel rail, double glazed window to front, spotlights. 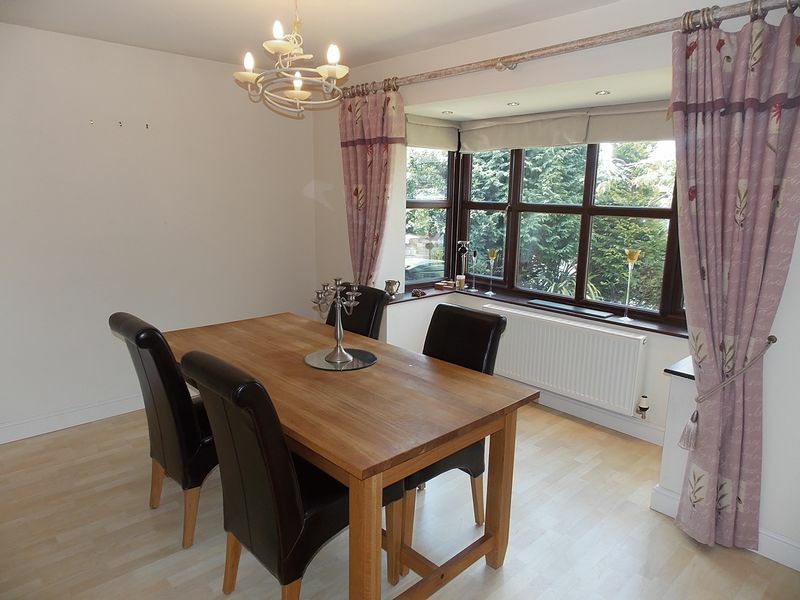 Double glazed window to front, radiator, laminate flooring, fitted wardrobes. 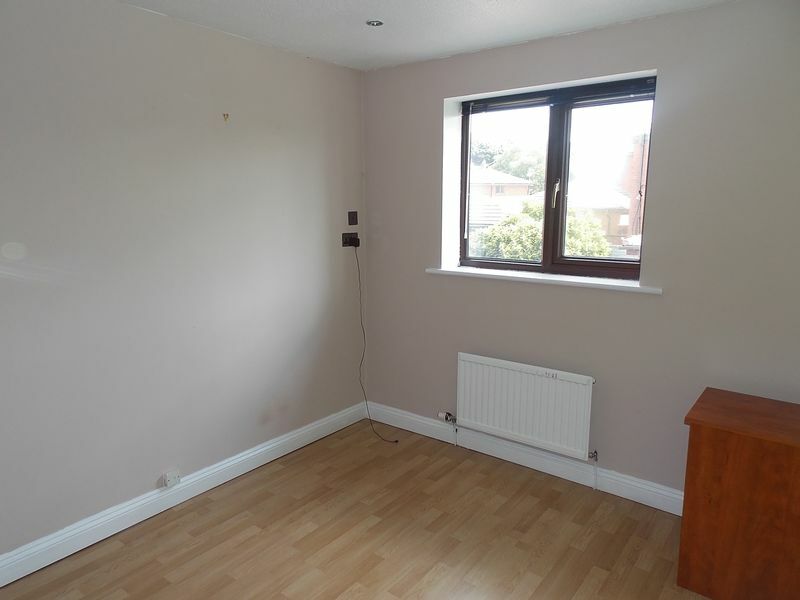 Double glazed window to rear, laminate flooring, radiator, fitted wardrobes, spotlights. 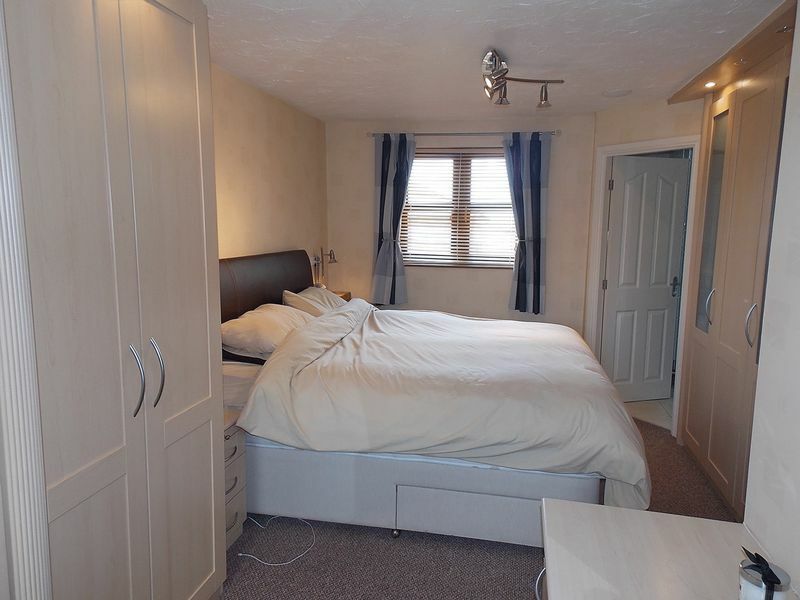 Four piece white suite comprising of shower cubicle, low flush WC, bidet, wash hand basin, tiled flooring, spotlights, heated towel rail, double glazed window to rear. 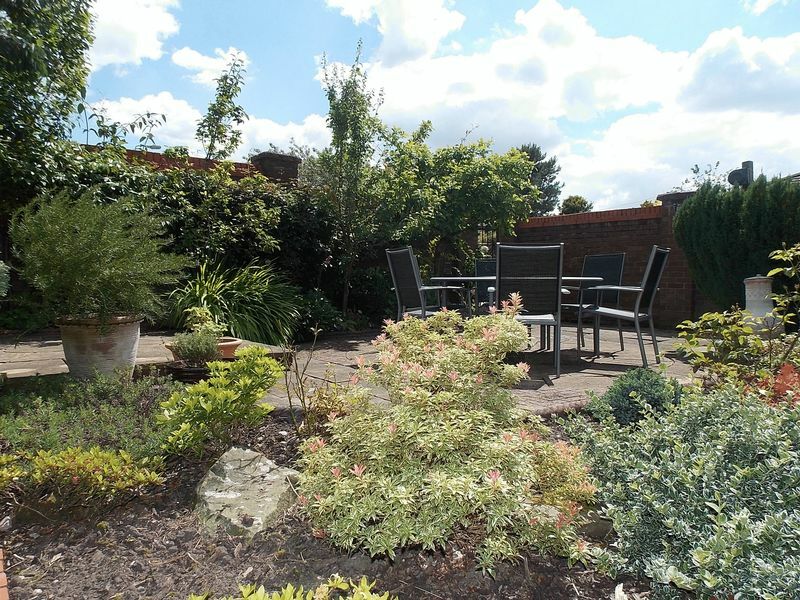 The property has a lawned garden to the front with trees and shrubs. 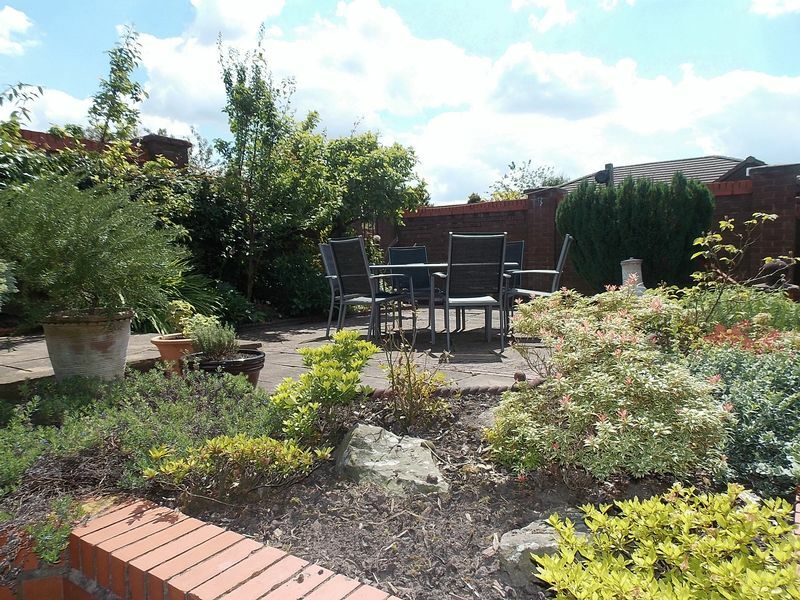 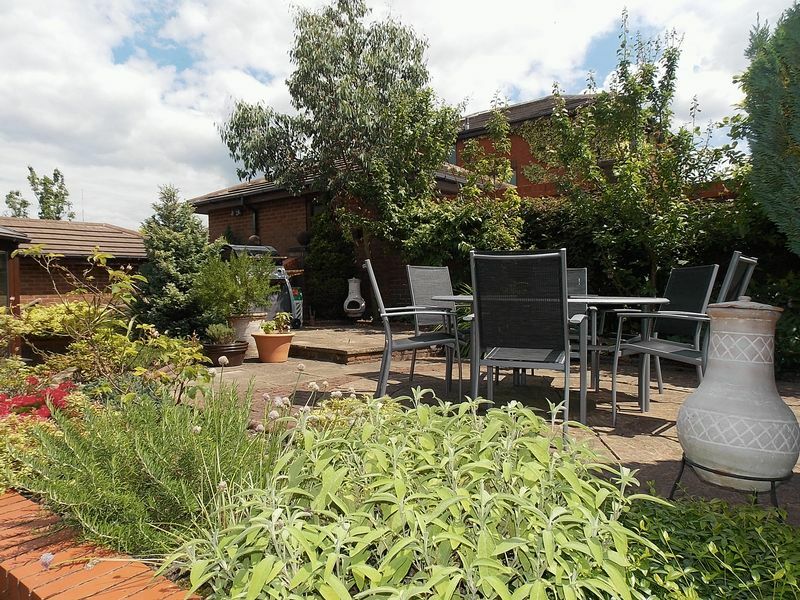 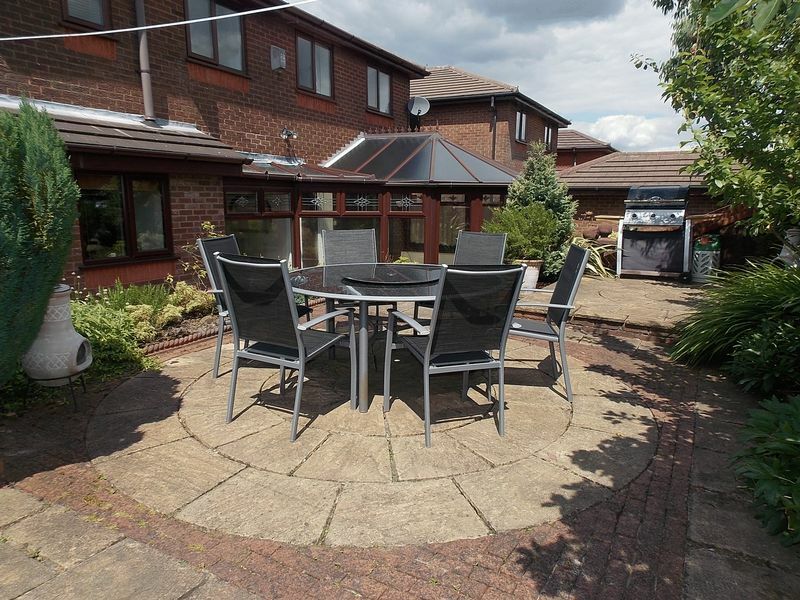 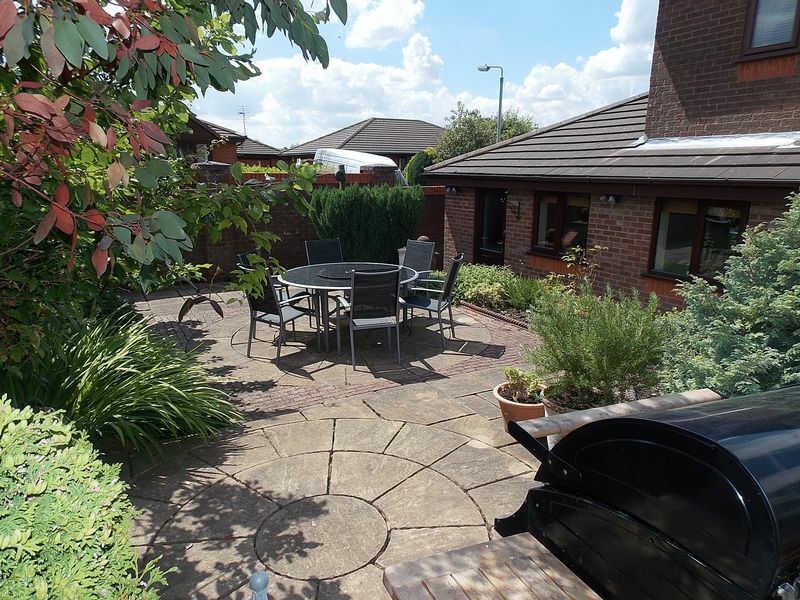 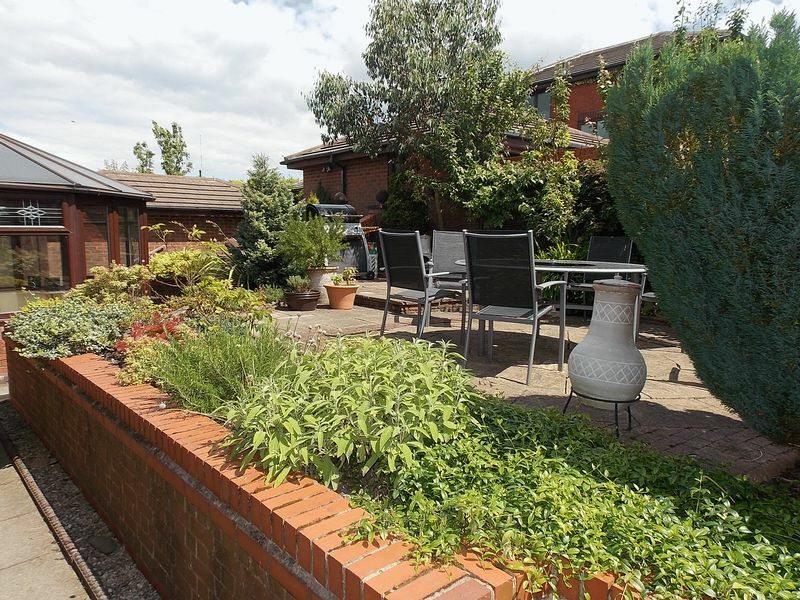 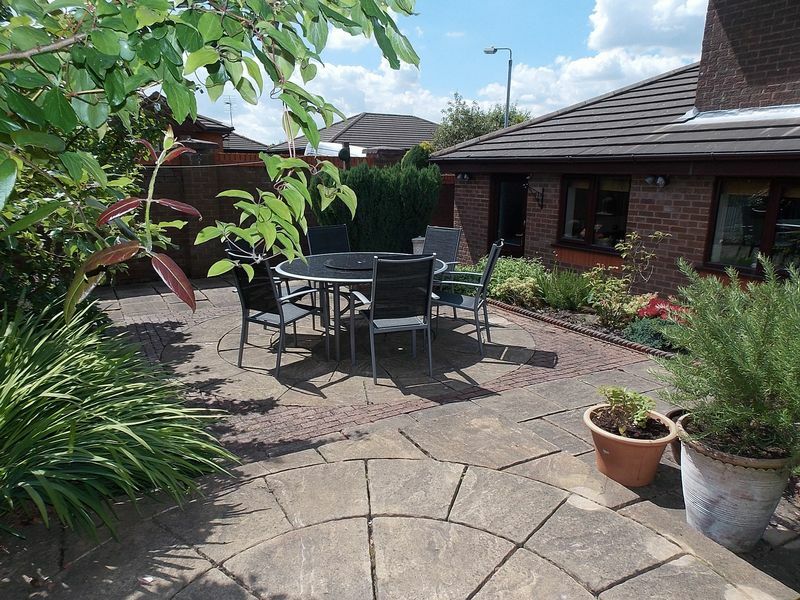 Landscaped rear garden enclosed by a brick built wall with access to the front of the property and gated access to the rear driveway and double garage. 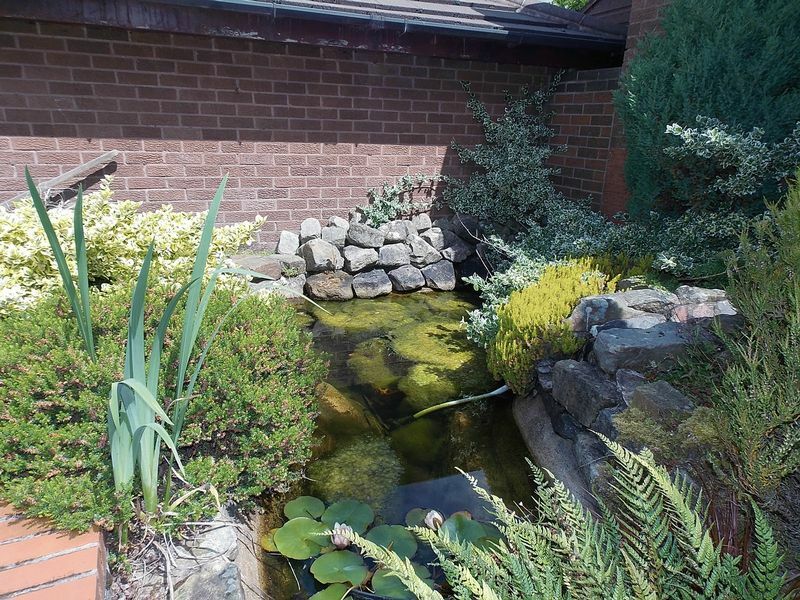 Flagged patio area with boarders of plants and shrubs with a pond. 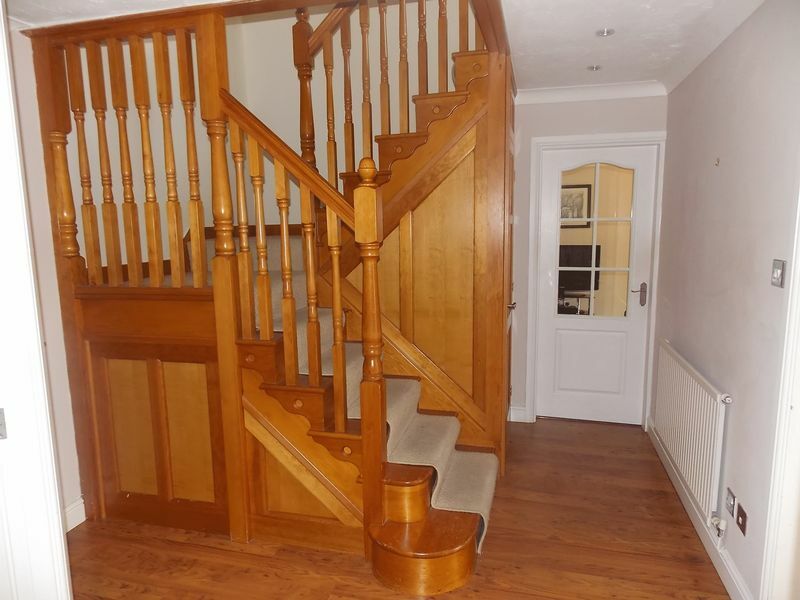 Steps giving access to a side garage door. 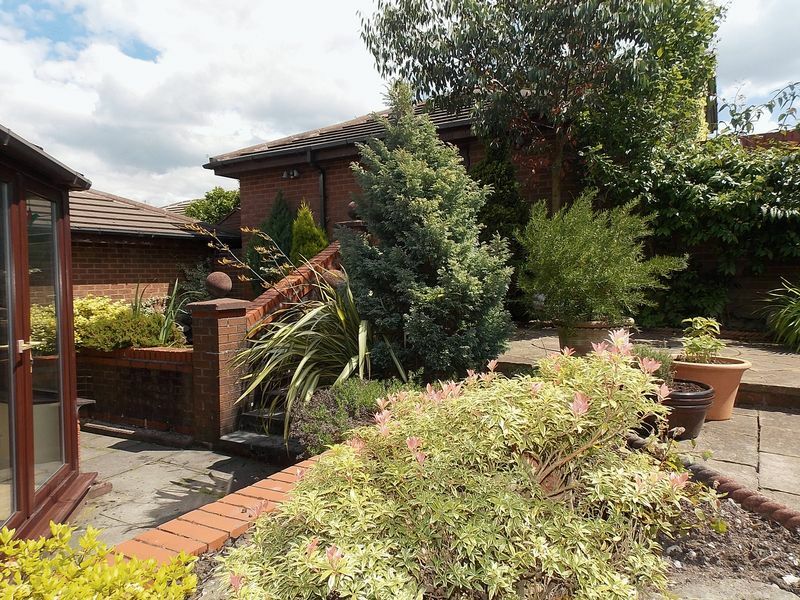 Double driveway leading to a garage. 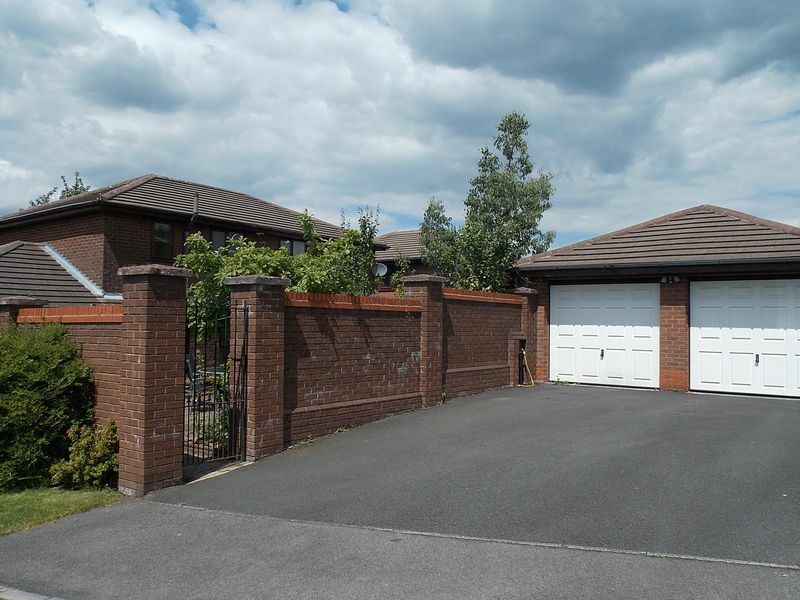 The double garage is at the rear of the property and built within the garage is a gym area.